It looks like Indiana Jones 5 has a new writer in the form of Jon Kasdan. Disney and Lucasfilm have been developing a fifth entry in the beloved franchise for a couple of years now and, originally, it was Kingdom of the Crystal Skull writer David Koepp who was attached to pen the screenplay for the new entry. However, according to a new report, he's been replaced with some younger blood with Kasdan, who is coming off of co-writing Solo: A Star Wars Story with his father, Lawrence Kasdan. Lucasfilm, Producer Frank Marshall and David Koepp have yet to respond to the news, but according to a new report from Collider, Jonathan Kasdan is now the man in charge of writing what will very likely be Harrison Ford's last go as the iconic hero. It's an interesting dynamic, considering that Kasdan is responsible for writing the first solo adventure for Ford's other most iconic character, but in a movie that didn't feature the actor in the role. Disney and Lucasfilm clearly like what he did with Solo, even if the movie has proved to be a disappointment at the box office. Enough to trust him with the future of the cherished franchise. Fans are probably going to have a mixed reaction to this news. On the one hand, David Koepp wrote Indiana Jones and the Kingdom of the Crystal Skull. The movie came out a decade ago and is widely considered to be the worst in the history of the franchise. Sure, there is plenty of blame to go around when it comes to the quality and many of the decisions that were made, but Koepp is the guy who wrote it. So having him off of the project is probably good news in the eyes of many. But Kasdan isn't' as experienced and his most recent writing effort, by far his biggest to date, was co-written by his very experienced father and wound up being somewhat divisive. It's unclear if Lucasfilm will be starting from scratch with a new script or if they're going to have Kasdan rework what has already been turned in by David Koepp. He was first hired two years ago, so surely there's at least a draft of Indiana Jones 5 floating around. Steven Spielberg announced in March that he intends to start shooting the sequel in April 2019 in the U.K., which means there is plenty of time to get the script done before shooting begins. Even though this is likely to be Harrison Ford's last turn as Indy, the franchise is likely to continue with someone else spearheading it. It's even been suggested by Spielberg that a female lead wouldn't be out of the question in the future. 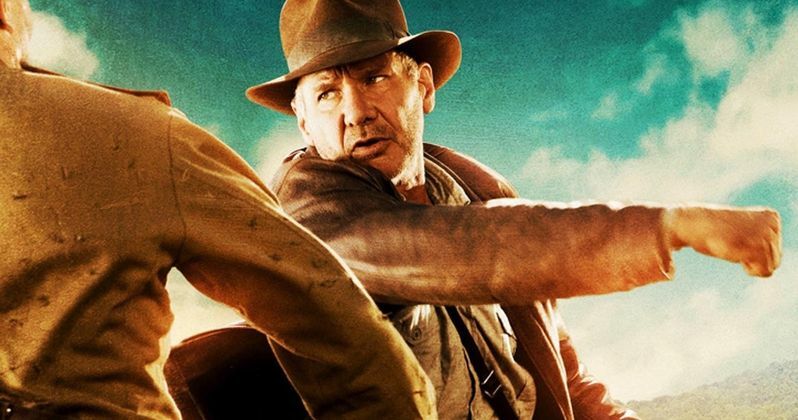 Indiana Jones 5 is currently set for release on July 10, 2020. We'll be sure to keep you up to date as more details on the project are made available. This news comes to us courtesy of Collider.